Serve your part in a great cause with this Pink Ribbon Scrub Watch as the portion of the sale of this watch is donated to the American Cancer Society. Specifically crafted for medical professionals, Prestige Medical time pieces are designed for a variety of workplace applications while enabling the personalization of healthcare. Quartz movement with a battery (SR626SW) included. It has plastic translucent band and plastic case with a plastic lens. 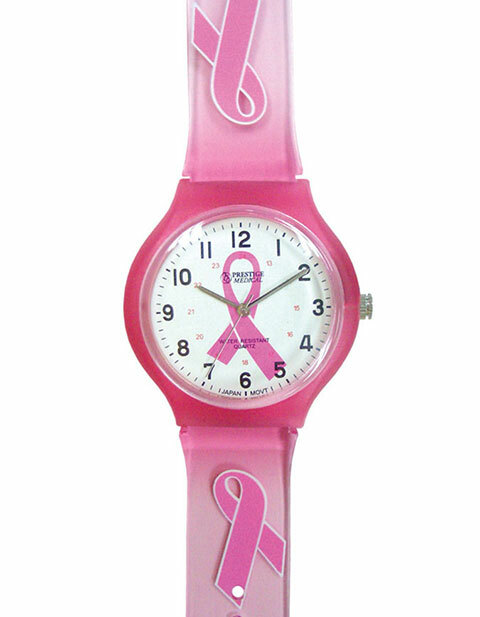 A portion of the sale of this watch is donated to the American Cancer Society.